A loss of a child – a cruel and life-altering sentence. No words to express my empathy, so I turn to imagery. “Queen Bee,” a RP Stillworks 24″ x 36″ photography print, attached to 3/16″ gator board with a wood mount, donated to the Samantha Stachel “Playing Big” benefit, Barrett, The Honors College, Arizona State University. I chose “Queen Bee” in celebration of Samantha Stachel’s playing big. I didn’t know Samantha. I only know Samantha through the incredible words of those who did know and love her, and ironically, through photographs. What I see in Samantha’s images is a playful, gorgeous haircut and a larger than life sparkle in her eyes. I see a disciplined, hard worker. I see a leader. I see a far-reaching energy of power, beauty and love. “Queen Bee’s” whimsical petals follow the lines of Samantha’s haircut. The “Queen Bee” is the leader of its nest, the one making all the action happen and the one who attracts all the energy. The “Queen Bee” plays big. 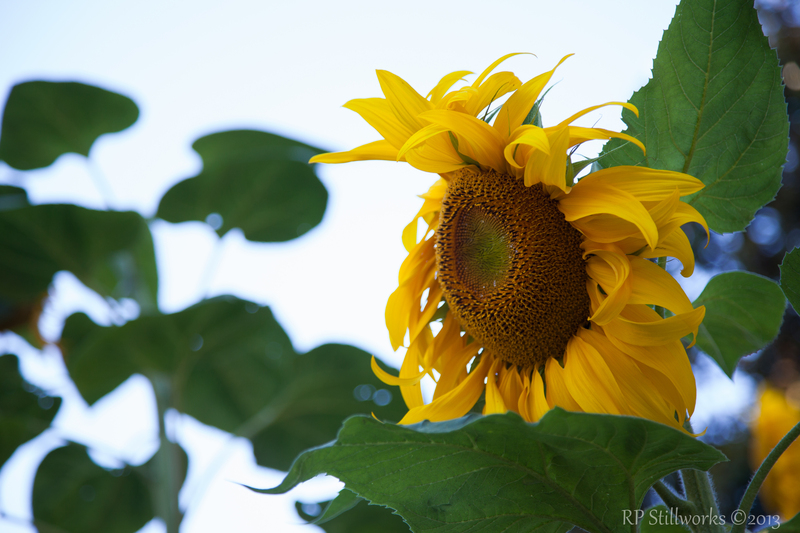 To me, sunflowers represent the giants of the playground. Sunflowers’ beauty tower above the rest. This is what I see in Samantha. Samantha’s mother responded to my donation, telling me Samantha loved Halloween, today, the day of the donation, and Samantha’s favorite flower is the sunflower. Along the northern shore of the Douro River in Porto, Portugal, a walkway divides. The lower walkway follows the river’s shoreline and leads to cafe and store fronts. The upper walkway leads to the second stories of the waterfront businesses and residences, providing a bird’s eye view of the busy riverfront below. 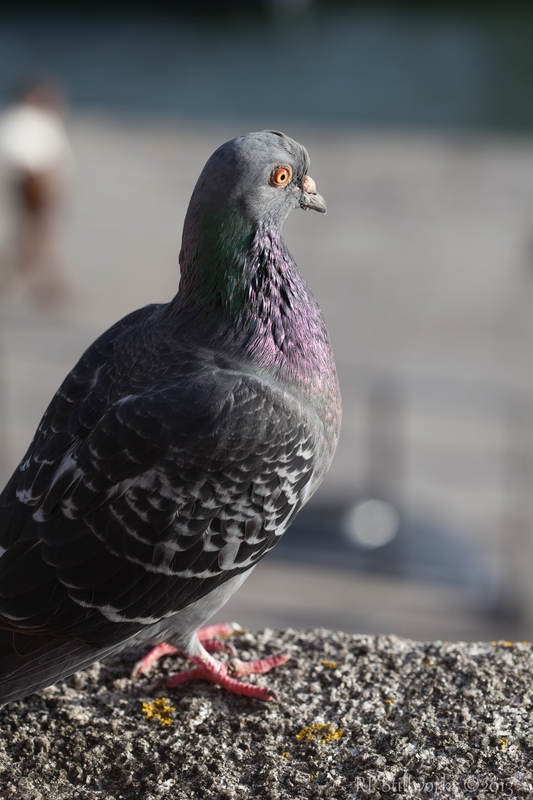 Walking along the riverfront with my camera in hand, I spotted a a purple-chested pigeon perched on the upper walkway’s wall. I moved toward the beautifully breasted bird. Cautiously, I positioned my camera, hoping the pigeon wouldn’t fly away at the sound of my camera’s shutter. Click. Closer. Click. The pigeon stayed in its place, giving me an occasional look, but allowing me to take its photo. Again and again. Thrilled with how the pigeon had seemingly trusted my presence, I continued down the walkway, leaving the bird safely on its wall. Preparing to take a photo of the setting sun above the river, I was distracted by movement in my peripheral vision. 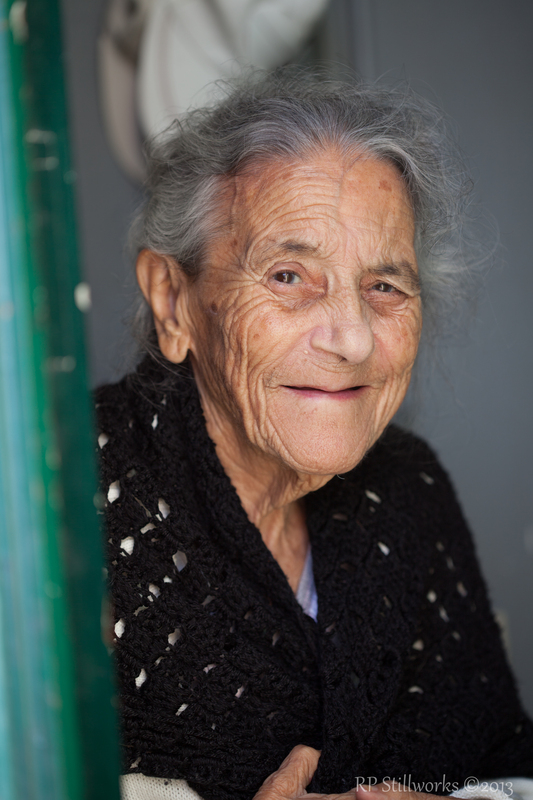 From behind a sun-drenched, private doorway, a Portuguese woman appeared. I smiled and tapped my camera. I pointed toward her and nodded. Mutual respect is a universal language.